There has been growing excitement for the iPhone 5S in recent months, and in recent weeks there has been mounting speculation about when it is likely to hit the market. Previous rumours have suggested that the iPhone 5S will be announced in the summer and hit the market in Q3, which would certainly make sense given the fact that the iPhone 5 has been on the market since September. In recent months, several sources have claimed that the iPhone 5S will be announced in the summer, but recent information has suggested that the production and the release of the phone may be delayed until later this year. Of course, Apple’s previous ‘S’ models, like the iPhone 3GS and iPhone 4S utilise the same design and screen size as their preceding models. However, GSM Arena has recently reported that a larger touchscreen may be utilised by the iPhone 5S, replacing the 4 inch screen of the iPhone 5 with a larger 4.3 inch display. As a result, the website has reported that this may lead to delays in the phone’s production, resulting in its release being delayed until the end of 2013. 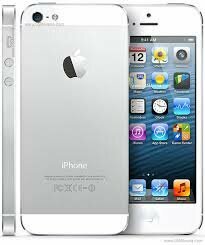 Visit our website for the latest iPhone 5S info and compare iPhone 5 contract offers. Of course, this information has not officially come from Apple, so it could be just another rumour. No further information was revealed regarding any changes to the resolution of the screen. The iPhone 5S is likely to include an upgraded camera and processor, and will of course the latest addition of Apple’s mobile operating system, the recently announced iOS 7 update. The phone is also rumoured to sport LTE-Advanced connectivity and a fingerprint scanner, along with a number of new colour options joining the standard black and white colour schemes. Of course, many more rumours about the potential features of the iPhone 5S are likely to do the rounds on the near future, so as usual we will keep you posted with the latest details.